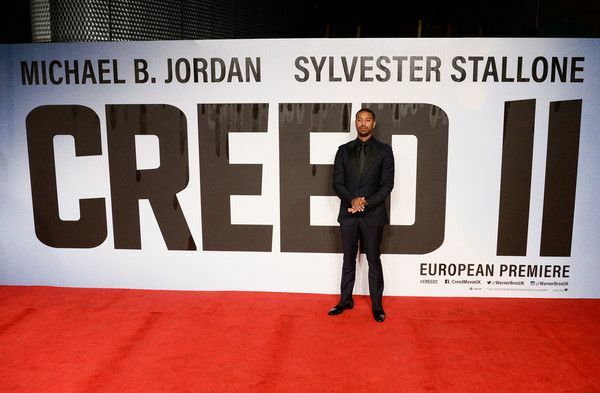 Tessa Thompson OWNS The Carpet In Green Valentino At CREED II London Premiere + Sylvester Stallone Retires Rocky! Green with envy...in the best way possible though! 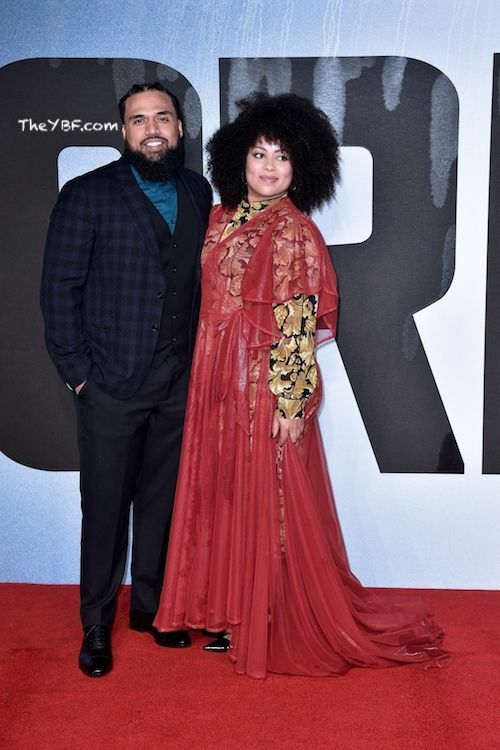 Tessa Thompson took a fashion risk when she made her way on the red carpet for the London premiere of CREED II held at the BFI IMAX. And she slayed it. 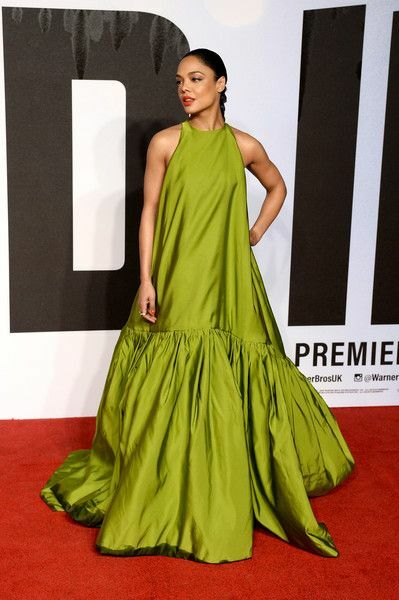 That braid, the pockets, this shade of green, and the twirl in this Valentino pleated hem gown - styled by Wayman & Micah - was perfection. This isn't an easy look to pull off, but Tessa did it with confidence and fierceness. While on the promo trail, we noticed Tessa has kept with a green theme, wearing the hue at the film's NYC premiere and during a recent appearance on Jimmy Kimmel. 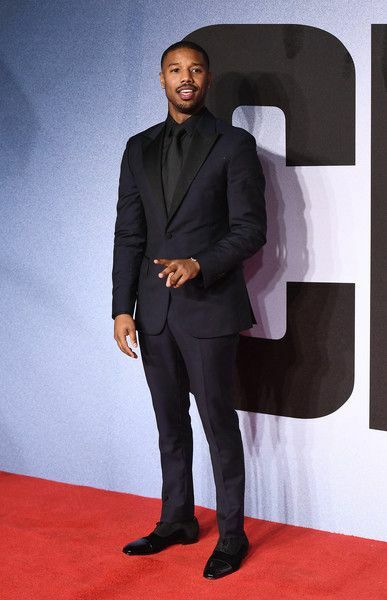 Hottie Michael B. Jordan was also in the mix looking dapper as ever. 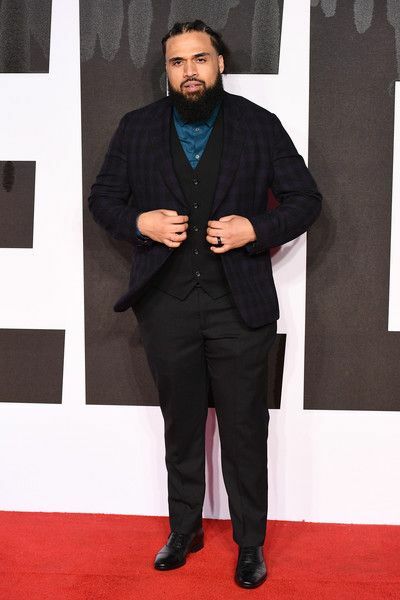 We also chopped it up with CREED II director hottie Stephen Caple Jr. You can check it out HERE. Looks like he might be off the market. Rocky Balboa is passing the torch to Adonis Creed. Sylvester Stallone announced in an Instagram video that he's retiring his famous Rocky character, confirming CREED II is the character's final appearance on the big screen. "I just want to thank everyone around the whole wide World for taking the Rocky family into their hearts for over 40 years," he wrote. The Hollywood actor first starred in the Rocky franchise when it debuted in 1976. It quickly became the highest-grossing film of the year and won THREE Oscars, including Best Picture. "It’s been my Ultimate privilege to have been able to create and play this meaningful character. Though it breaks my heart, Sadly all things must pass... and end. I love you Kind and generous people , and The most wonderful thing of all , is that ROCKY will never die because he lives on in you ....," he continued. In the video, the 72-year-old actor said in front of his co-stars and crew, “This is probably my last rodeo." Was that "probably" leaving room for him possibly coming back? You can never say never. We saw hints in the movie of how writers could continue the franchise without Rocky. We won't spoil it though, in case you haven't seen it yet.